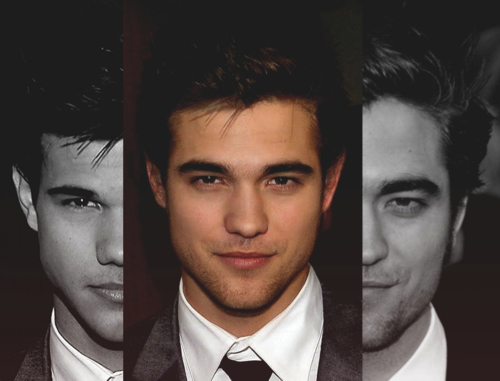 This is Robert Pattinson and Taylor Lautner's love child. I think hes kinda cute! What should we call him?! :P. Wallpaper and background images in the Taylor Lautner club tagged: taylor launter taylor launter movie screencaps 2010 hd eclipse movie. This Taylor Lautner photo might contain کاروبار سوٹ and بزنس سوٹ. OMG IS HE CUTE.........YES HE IS!!!!!!!!!! !